In the classic 1978 documentary Attack of the Killer Tomatoes! we watch as a bushel of plump Roma and muscular beefsteak tomatoes become self-aware and then take their revenge on hapless representatives of a pasta-sauce-making species. The carnage is indescribable, the horror unspeakable, the irony indisputable. Yes, irony, for that red-soaked massacre, or something like it, must have been in the mind of Michael Marder, an academic philosopher, and author of Plant-Thinking: A Philosophy of Vegetal Life. In this, his masterpiece, Marder wrote that we had better make a move for “plant liberation” before brigades of rutabagas flanked by Swiss chard take up arms and wreak havoc. Now, when you boil or fry a spud, it kills it. But it also makes it into a traditional accompaniment to Thanksgiving dinner or a tasty snack to have with beer. Problem is, making beer slaughters acres upon acres of barley. And Thanksgiving, well, this still politically allowed holiday (in most jurisdictions) sees its share of turkeys with their throats cut. But if we human beings don’t partake in these murderous repasts—that is, if we don’t take the lives of living things—then we whither and cease. As Yours Truly has pointed out before, you must to kill to live. This is an inescapable logical conclusion. How does Marder fit this into his philosophy? Notice his incorporation of militaristic lingo (strategic, struggle, front): I told you he had those tomatoes in mind. Marder forgets, or is unaware, that farming is precisely breeding meat-generating machines. I have no idea what “instrumentalized living beings” are. Do they include e. coli, malaria-carrying mosquitoes, weeds? Probably. But these niceties we can ignore. Let’s get to the good stuff. What Marder is really against is the “indiscriminate consumption of plants.” Presumably this means if you already downed one side salad you should not have another, or should at least skip the croutons on the second. And there it is: Marder thinks people are eating too much. Progressives don’t like fat people and are determined to do something about it, including going to extremes like “discovering” “rights” in plants. Of course, he just can’t say straight out that blubber bothers him. He has to mask it in academese or it will never be published in peer-reviewed journals. [B]oth Western and non-Western philosophers have been aware of what we may now call “plant subjectivity” for millennia. Most famously, Aristotle postulated the existence of a vegetal soul with its capacities for reproduction growth, and nourishment, as the most basic stratum of life. To Aristotle, all living beings, including animals and humans, are alive by virtue of sharing this rudimentary vitality with plants. Other levels of the psyche — the sensory and the rational — then presuppose the presence of vegetal soul for their proper functioning and actualization. As Aristotle says “by form I mean the essence of each thing, and its primary substance” (1032b1), and “when I speak of substance without matter I mean the essence” (1032b14). It is the form of a substance that makes it the kind of thing that it is, and hence it is form that satisfies the condition initially required for being the substance of something. The substance of a thing is its form. Join essence to matter and you create the form of asparagus. Aristotle never implied plants have ghostly souls that strum harps on clouds after they have been heartlessly julienned by some chef. So there is, if you do or don’t pardon the pun, no meat in this argument. As evidence of “intelligence” he cites “a report on the enhanced ability of common pea plants, recipients of biochemical communication, to withstand drought, even though they did not directly experience this abiotic stress-inducer.” But this is like saying a rock teetering on the edge of a cliff “decides” to fall, or that it “experiences” gravity and “chooses” to leap. Still, Marder will have “respect” for “vegetal life”, a respect which includes eating plants. Not in great quantities, but respectfully and in awe. We must not “reduce plants to storehouses of carbohydrates and vitamins or to that other source of energy so widely applauded today, biofuel.” And we weep when we realize it “is especially pernicious to grow plants from sterile seeds, already robbed of their reproductive potential, patented and appropriated by profit-driven enterprises.” We must eat only free-range plants. His philosophy thus resembles a bad James Cameron movie. And here is another progressive boogey man: profit. Such a disquieting word. Farmers, claims Marden, are “forced to buy seeds from multinational corporations.” Forced? One imagines he wrote this piece, which is displayed on a multinational-corporation-owned website, on a multinational-corporation produced Mac. But we do not expect consistency from the Left. We recall the killer tomatoes again when Marder writes “Violence against plants backfires, as it leads to violence against humans and against the environment as a whole.” He never defines what he means by “violence against plants”, but perhaps it is when dull knifes are used to dice celery. Unsharpened blades, you see, slip easier and commit violence against their human wielders. Will the citizenry march to the banner “All plants to be what they are!”? Will a majority cry out, “Up with universally applicable eating patterns!”? Perhaps not. But since we have seen the impetus behind this goofy philosophy is really new ways to control the choices of the lesser-credentialed, we may yet see it foisted upon us. What would be a plant’s potentiality? A Ph.D. from an Ivy League school? Oh Katie, you’re so funny! Love it! To avoid those vegetables on the dinner plate, some kids might take up his argument. Move over PETA. Although, when they make the anti-plant-eating ads, instead of shedding cloths they’ll just have to leave. Those Swiss chards are fierce fighters. They defended king Louis 16 during the French revolution and still guard the Pope. 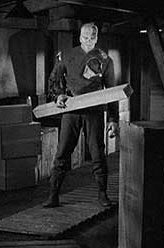 James Arness, where are you now that we need you? Pretty ridiculous, but not altogether unexpected. Ed Feser made a couple of amusing posts on related subjects in the past: http://edwardfeser.blogspot.com/2012/06/sentient-plants.html, http://edwardfeser.blogspot.com/2012/06/sentient-plants-part-ii.html. Plants are not conscious, nor are they intelligent. However, it is also not entirely true that they are mere machines driven by chemical reaction. They are, in fact, alive; and they exhibit “intelligent” behavior because of this. The problem is that someone like Marder takes these facts and twists them the wrong way. Because plants exhibit something like “intention”, he adopts a kind of panpsychism. The sane reaction, on the other hand, is to treat this “quasi-intention” as what it really is: immanent teleology. All living things have it by default–it’s what makes them living things. It does not confer rights. It does not require us to treat plants differently, aside from perhaps acknowledging that they aren’t just “organic robots”. It’s nothing more or less than the common sense view that nearly every culture throughout history has held: plants are alive, and it’s okay to eat them. A culture that would forbid eating both plants and animals would cease to exist very quickly, the reason being they would starve to dead in a month or so. No wonder almost every culture held the view that it was ok to eat plants. And no wonder that they would invent a philosophical reason to say that it was ok to eat plants, or animals, if they were bothered by the implications of the fact that they needed to kill and other creatures in order to stay alive. The discussion get really interesting when you consider the implications of the existence of poisonous plants, and the reason why some animals can eat some poisonous plants, while most others cannot. Once you start applying a soul to things it is hard to know when to stop — best not to start at all. Previous Previous post: Intrade’s Record In Picking Presidents: Is There Market Manipulation?